The tobacconist I usually go to is an “Oliva Lounge”, this being said they have a lot of Oliva product. It was wandering aimlessly through the humidor one day and I stumbled upon this beauty of a cigar. 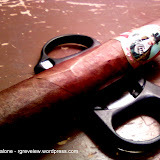 It is 6 1/2 x 52 torpedo with an Ecuadorian Connecticut wrapper and a Nicaraguan binder and filler. I cannot emphasis how great this cigar looks. It is a beautiful light brown with minimal veins. I clipped the cap a little more generously than I normally do, it is a torpedo after all. Prelight draw was a little loose for my taste, but it was still within my acceptable firm bandwidth. I couldn’t really note any distinct smells at either end of the cigar outside of the smell of quality tobacco. The first draw was very smooth and very mild/medium. There were notes of sweet burnt toast (buttery toast?) and caramel. The burn was slightly off straight, but it didn’t affect the flavors. 1 inch in and in addition to the aforementioned tastes there was a slight nuttiness coming through. There was a slight burn issue at 1 1/2 inches, but it self corrected at 2 inches. 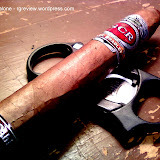 It should be noted that I smoked this cigar on a Saturday at around noon. 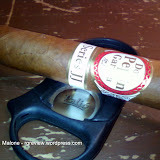 Which is the perfect time to have this very mild/medium smooth cigar. 2 inches in and the cigar was still keeping its ash. I was admiring and pondering this construction feat when the ash relieved itself…..on my lap. Yes, I ashed myself. After the cigar ashed I thought I would retro-hale and see what additional flavors I could pick up. There was a slight blast of spice which hadn’t been present before. Ok, now this cigar has my attention. 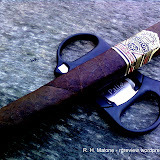 I noted after the first ash that the cigar was having burn issues and the flavor had changed to more leathery notes. Which struck me as very strange as the flavors up to then had been very mild nutty sweetness. 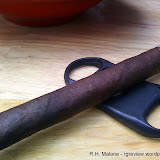 I smoked it through 1/8 of an ash and the flavors of mild nutty sweetness where back. Perfect. While smoking it to the 1/8 ash place I noted there was some burning issues. 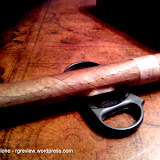 So, in summary, after the cigar ashed it had flavor and burn issues. This was very frustrating and unusual given my previous Oliva experiences, which have been superb. This trend continued through the rest of the smoke. Moments of sublime smoothness quickly replaced by laborious smoking and then back again. 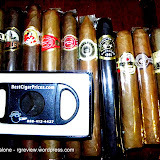 I would recommend this cigar for a relatively new cigar smoker and at $5 a stick (depending on location) it can be gotten without too much monetary committment. I would say overall while I like this cigar for an afternoon smoke, Oliva has better cigars to fit my particular tastes, i.e. V & G. So take the suggestion for what it is worth. 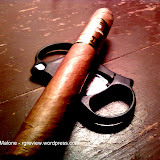 That said I would give this cigar a rating of 7.